Almost three weeks ago my friend, fellow food writer and mother Jennifer Perillo, lost her husband quite suddenly. Just a week before his death, she and I sat on a sunny lawn with Dixie cups of lemonade, and she told me about how deep and long her love for Mikey runs. The loss of Mikey is a grand devastation. Most of us can only imagine. A bunch of folks in the food community are gathering hands, minds and hearts to help Jennie. This post is about how you can help us help her. You see, one thing I knew long before we ever met in person was how much Jennie loved sharing food with her husband. She tweeted at length about the meals they made as a family, her excusions to the market for ingredients, and their hand-in-hand date nights out. Now, she needs help. Jennie and Mikey have two beautiful, vibrant daughters, ages 3 and 8. Suddenly a single mother, Jennie faces some huge challenges: the denial of Social Security benefits and health insurance that runs out in weeks, to name just a few. In response, a bunch of us in the food community are contributing to an online auction, mostly handmade items and experiences from our hearts, to help raise more funds for Jennie and her girls. • See more: You can see a round-up of all the #afundforjennie items here. Here's my vision: We'll shop together, then I'll come to your place and fire up your stove. We'll cook, listen to music, and honor Jennie and Mikey by making something truly beautiful for someone you love. Once the meal is under control, I'll scoot quietly out of your way. Of course, I'll send you a copy of my book (and a set of Post-it flags) ahead of time to get you started. You mark the dishes you like and we'll curate a meal. Come on, doesn't that sound like good times? It's what Jennie would want. Bidding starts at $300. To bid, please leave a comment below stating your bid. Let's go in increments of $50, ok? • Winner needs to be in New York City and claim prize within six months. • If you'd like to make an anonymous bid, make sure the email address associated with your user name is correct so I can contact you if you are the winner. • Auction will end on Sunday, August 28, 2011 at 11:59PM EST. I will contact you with details on how to complete the purchase. Or just donate to the cause. Don't want to bid? How about $10, $20, $50, $100 for the Perillos? Bloggers without Borders created a fund to help provide financial security to the Perillo family during this difficult time. You may contribute via PayPal by clicking the Bloggers without Borders button below. Moved by this story but can't give? Jennie has serious talent. She has a lot to give and I suspect if you follow my work, you will like hers too. Read her blog, In Jennie's Kitchen, follow her on Twitter, and most importantly put all the strength you have out into the universe and send it her way. You can also join the hundreds who have already made Mikey's favorite peanut butter pie. It will feed your soul's belly, I promise. Clicking the button above will take you straight through to PayPal where you can donate to Bloggers without Borders for Jennie. 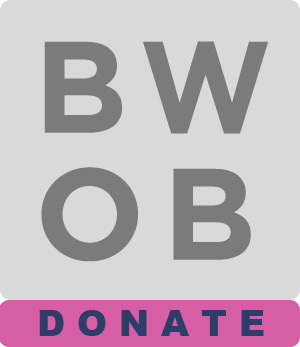 Bloggers without Borders is a charity that was founded by Maggy Keet of ThreeManyCooks, Erica Pineda-Ghanny of Ivory Hut, and Aimee Wimbush-Bourque of Simple Bites. If you would like to auction something on your own site, please email Shauna Ahern.